Rinse.com is about to get a new look and feel, including a new logo! Stay tuned. 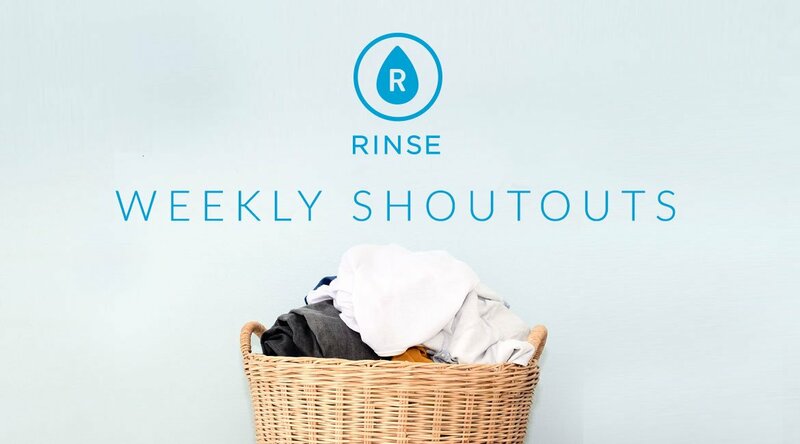 We love hearing what people have to say about Rinse. Every week, we want to highlight some notable mentions from the people we love hearing from the most. "It was a very good experience and exceeded my expectations, good job!” — Scott R.
"Oh wow, that is fantastic! Thank you so much for all your hard work to find a replacement - I really appreciate it! What amazing customer service :)” — Kay C.
"Great service! Love the heads up AM and when delivery is on way! Thank you! 👍🏼 ” — Samuel H.
"You guys were great. I would recommend Rinse to anyone that has a demanding schedule and wants solid predictability and excellent service. ” — Joey F.
“Thank you so much for the update, professionalism, and white-glove service. It makes using Rinse worthwhile.” — Lakeya C.
“You guys are running a great business!” — Jackson F.
“You guys are awesome! Thanks again for such great service.” — Laura G.
“I'll say again: your customer service is fantastic!” — Evan F.
Today I’m excited to announce that Rinse has closed a $14mm Series B, led by Partech Ventures, along with continued support from Javelin VP, Arena Ventures, and several other existing investors. I am really proud of our team for their hard work and dedication to date, and we are excited for the next phase in our journey. As we continue on our path to build the first and largest national brand in clothing care, I wanted to take this opportunity to look back on how we got here. 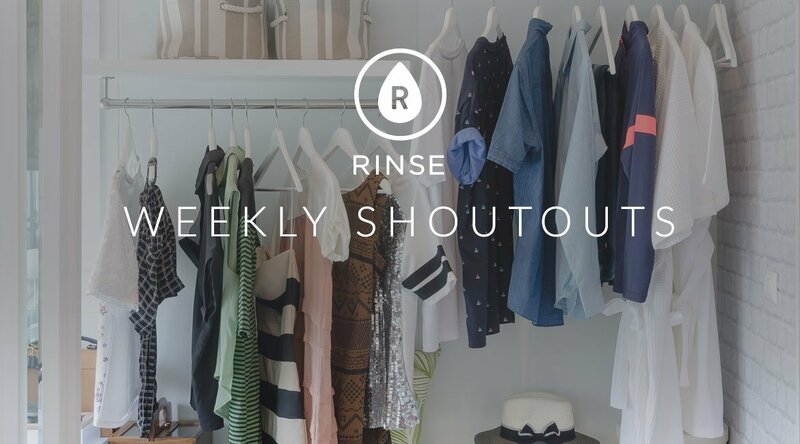 In early 2013, my co-founder James Joun came to me with the idea of starting a company in clothing care and the story of Rinse began. James has been one of my best friends since college (I’ve known him for 18 years now), and has always been someone I viewed as a potential co-founder. He also had the unique advantage of being raised in dry cleaning. He wanted to start a company to help address the pain points of existing dry cleaners, which he understood intimately. At the same time, I was already working on a few ideas to remove friction from the customer experience of necessary and recurring services. Over breakfast at Union Cafe in Cow Hollow, Rinse was born. Since the early days, the consistent theme James and I have heard from both customers and cleaning partners alike is that they are experiencing significant friction. We now refer to the friction customers experience in clothing care as “death by a thousand cuts” — there isn’t just one big point of friction we need to remove, but many points across the entire customer experience. For example, in dry cleaning, (1) you don’t actually know who’s a good cleaner, you just go to the nearest one; (2) you can’t assess quality until after you get your clothes back; (3) cleaners typically operate during normal business hours and are closed on weekends, which makes pickup and drop-off inconvenient; (4) there is limited transparency, limited customer service, and limited technology-enablement. Cleaners also experience their fair share of friction. Most cleaners are underutilized and do not know how to drive more volume. Historically, foot traffic was enough to acquire customers, but times have changed. When customers do walk in, there is limited incentive to invest in customer service or technology because the main focus is on paying the bills. With Rinse, our goal has always been to remove the friction on both sides. For our customers, we are systematically dismantling the “thousand cuts” by providing one simple solution for everything in their closet. For our cleaning partners, we send a predictable and steady stream of volume and enable them with technology to help ensure the highest quality cleaning for our customers. Our needs-focused, solution-agnostic approach has heavily influenced the decisions we have made as we have built Rinse. At times, our approach has been at odds with the consensus view among startups, but it’s always been aligned with our customers’ needs. We launched in 2013, at a time when it seemed like every consumer service start-up chose to be “on-demand,” due in large part to Uber’s success. Rinse took the approach of focusing on “smart scheduling” and quality instead of “on-demand” and speed. We realized that Uber was solving an acute pain point — if you need a taxi, you need it now — where an on-demand model made sense to remove the friction. 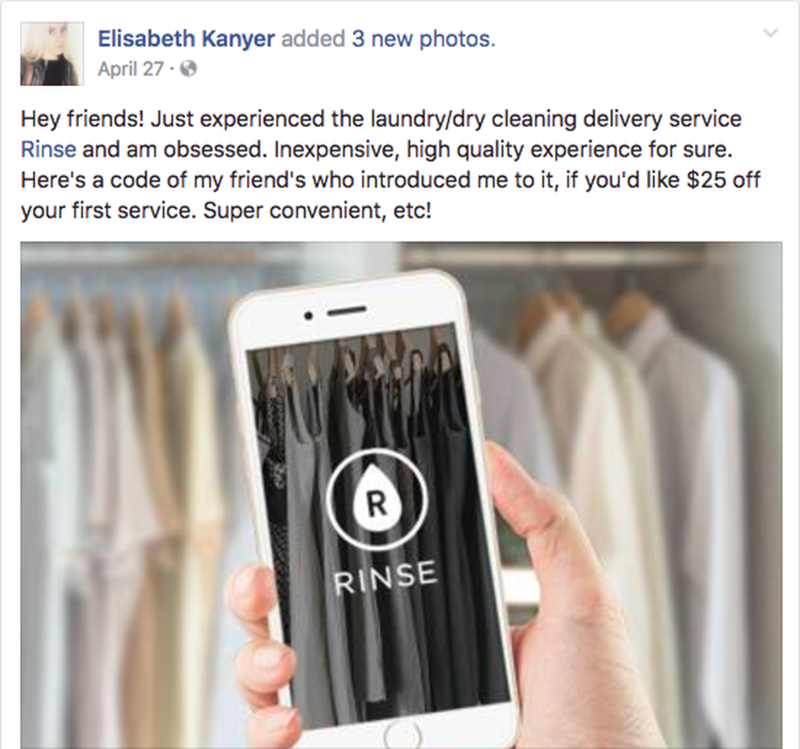 Rinse, however, is solving a chronic pain point — you always have dirty clothes — and customers almost unanimously prefer quality over speed, and crave consistency and predictability. We decided early on to classify our Valets as employees (W-2) instead of independent contractors (1099). Our Valets are the front lines of our customer experience and it’s important to us that we invest in their training and development. We were also very clear in our approach to create mutually beneficial, long-term relationships with cleaning partners, rather than moving towards vertical integration and operating our own facilities. These decisions are core to who we are as a company today. We have seen the highs and lows that the “on-demand” world has experienced (including our main venture-backed competitor shutting down), and have remained steadfast in our focus on the customer, our team, and our partners throughout. We raised our Series B to accelerate our path to becoming the first and largest national brand in clothing care. 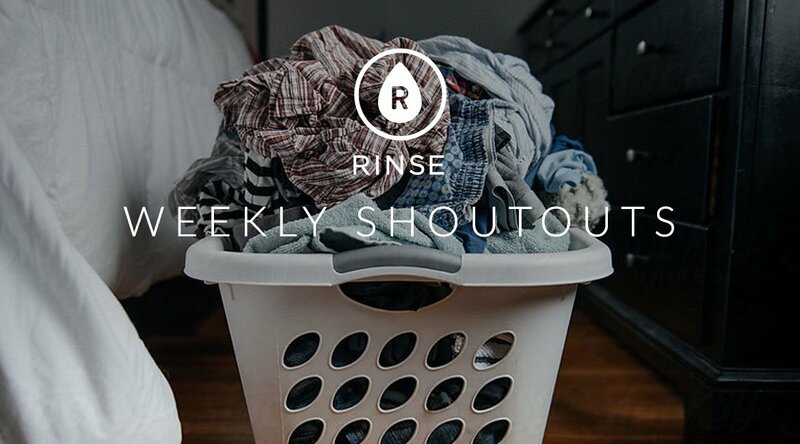 Rinse has grown at double-digit month-over-month rates since inception. Our customers love our service, which has led to a loyal customer base. We have built a business with attractive economics to help ensure long-term sustainability. We are also getting stronger with each new city. Rinse Washington, DC, which launched in late 2016, has seen 40% month-over-month growth and was contribution margin positive after only three months on the ground. We are more confident and excited than ever that we are moving in the right direction to becoming a household name. We are fortunate to have worked with world-class investors along the way who believe in our team and our approach, including Javelin Ventures, Arena Ventures, Accelerator Ventures, Structure Capital, and several founder/CEO angels who have walked in our shoes before. Our Series B is no different and we are thrilled to welcome Partech Ventures to the Rinse family. With our Series B, we will continue to drive strong growth in San Francisco, Los Angeles, and Washington, DC, while also expanding to several new markets. We will also grow our team. We are actively recruiting for key roles in Marketing, Product, Operations, Technology, and Customer Experience, in addition to always looking for great Valets and cleaning partners. Our success to date is a reflection of our team’s hard work; our cleaning partners’ dedication to quality; our Valets’ work on the front lines of the customer experience; our investors’ incredible support; and our customers, who use us, love us, challenge us, and continue to make us better. 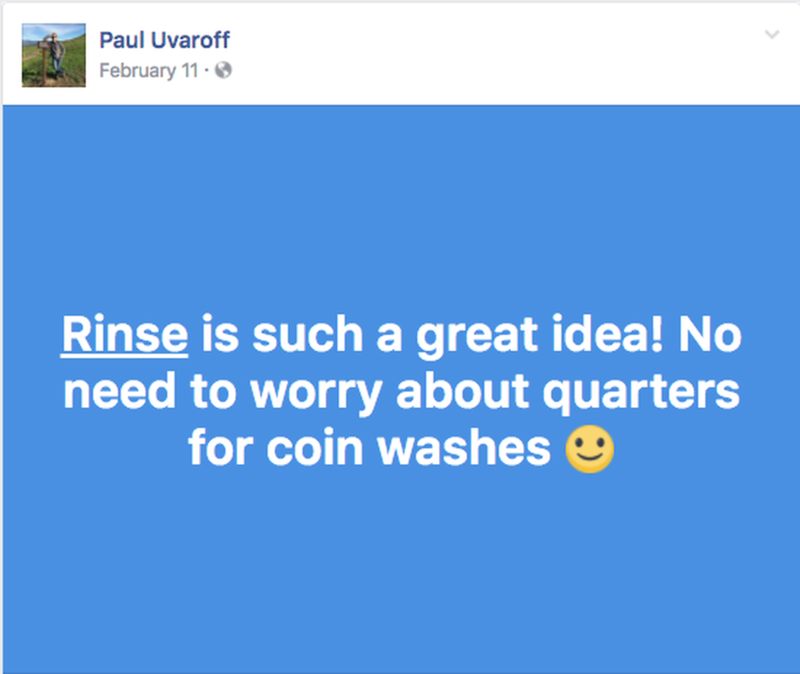 What’s next for Rinse? We will continue to do right by everyone involved by staying true to our core values, investing in the growth and development of our team, and creating a world-class service that our customers will enjoy for many years ahead. “Thanks for the amazing support today Rinse! 10/10 stars! !” — Rick F.
“Ps love you guys, you do a great job.” — Shane B. “Thank you! I really appreciate your service and will definitely recommend you to my friends!” — Chris S.
© 2016 Rinse, Inc. All Rights Reserved.